This ancient personal computer ad comes to us from February 1977 in Byte Magazine — before the launch of the Apple II. 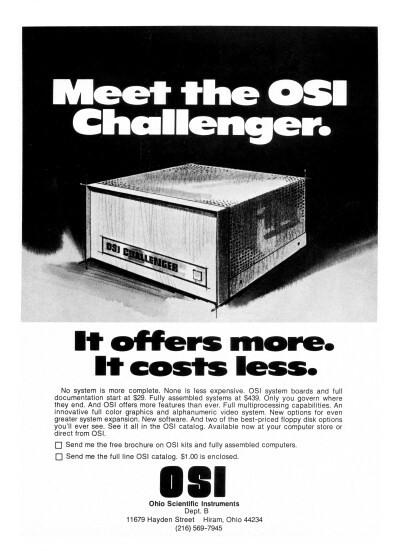 Like the Apple II, Ohio Scientific Industries’ Challenger PC used a MOS 6502 CPU. 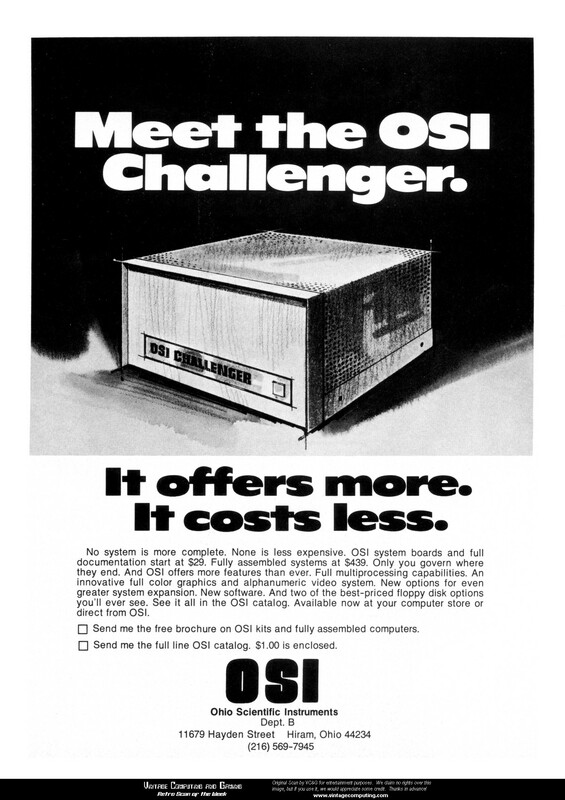 I don’t know too much about OSI, since I have never owned a machine they made, but I know that they were very important in the early PC industry. I found a really neat website about OSI boards if you want to learn more. You can also learn more about their complete systems, including those with Apple II-like built-in keyboards at this website. Discussion Topic: What’s the oldest computer you’ve ever used? BEGIN A FANTASTIC NEW QUEST! !!! 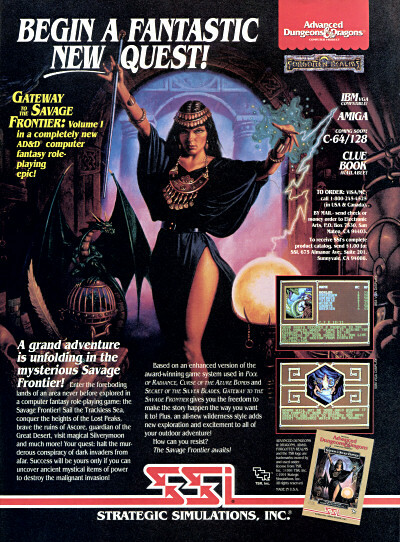 For some reason, my brother and I never owned any SSI Gold Box AD&D games when I was growing up. I have played many of them briefly since then — and there definitely are a lot of them. So I’m particularly interested to know what you guys think about the Gold Box games — which ones you’ve played, which are the best, etc. Discussion Topic: What’s your favorite SSI Gold Box game?